This is a very affordable eye cream. Love the brand. It's in a beautiful packaging and feels great on the skin! Very hydrating. I noticed a huge improvement in moisture. But as far as wrinkles go, didn't notice a big difference using it. It mainly helped my eyes look more refreshed and healthy. Perhaps a slight improvement in fine lines. Overall I would still recommend this product. It's a lovely eye cream. This product are amazing I received a sample and next time will buy it again to me and to my sister and mum I recommend it for all of the people who want Beautiful and attractive eyes. I am turning 40 this year and L'Oreal Dermo Expertise Eye Defense cream really helps with signs of aging. Some anti-aging products produce noticeable results and some don't. This cream really does produce results. L'Oreal is a brand I know and trust. It is affordable and L'Oreal offers coupons regularly to make the price even lower. Overall it's a great product that is definitely worth trying. Absorption This cream absorbs completely and evenly into my skin. This is very important to me when I apply my make-up. Make-up just does not apply right if there is too much oil on my skin. Doesn't Clog Pores I have had a lot of problems with creams in the past clogging my pores. I do not have that problem with this cream. Effectiveness I have combination skin and sometimes have a problem with dry, flaky patches. This cream does a great job of taking care of these dry patches. I sometimes get eczema right below my eyebrow on my one eye. This clears that right up. It helps my eyes look more refreshed and younger. It reduces the fine lines around my eyes. 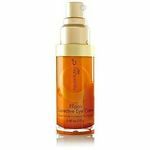 It is lightweight but moisturizes great and leaves my skin feeling hydrated, soft, and smooth. A really good defense against puffy eyes! L'Oreal Dermo Expertise Eye Defense is one of my recent purchase to stave off the puffiness in my eyes when I have a bad night's sleep. This eye cream is very good. The cream itself is very silky and smooth. It smooths onto the skin under my eyes very nicely. I use it at night after my shower to combat the swelling that comes with lack of sleep. I am a mom with a very young daughter and I feel like I am never able to get the right amount of rest. This product has come to my rescue many times because of non-sleep. The eye cream really brings down the puffiness and I look and feel really refreshed, even when I have had only a few ours of sleep. It absorbs really quickly and it has a nice and light scent that I also really love. I would recommend this product for any woman who has trouble with puffy and bruised looking eyes after a night of non sleep. It does cost a little more, but it is definitely worth it! As I am nearing my 40th birthday I am trying to do as much as I can to boost my skin's appearance. The eye area always betrays your age and so I spend a lot of time and money on a good eye cream. I had a coupon for any L'Oreal skin product and wanted to try this. I was very pleased with the cream and its results. This formula is so lightweight and yet it gave me great moisture around my delicate eye area. I placed the lotion in the refrigerator for some extra comfort. This lotion left no irritation and the area was unclogged and clean. My only issue is the price of this cream without a coupon. This will have to be something I save up for. Absorption I noticed no clogging of the pores or pimples forming. My eyelids are very oily and prone to whiteheads. This lotion was fantastic on my eyelids. I was able to apply my eye makeup within a few seconds. Doesn't Clog Pores Fantastic moisture without any issues of whiteheads or pimples. Effectiveness Great moisturizer and I noticed that my under eye circles seemed less dark. 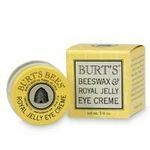 Through the years I have experimented with a number of different eye creams. Some have fared better than others. L'Oreal Eye Defense is one of the eye creams that I keep coming back to and use on a consistent basis. 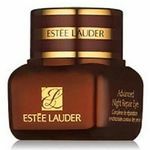 As I get older the fine lines and crows feet under and around my eyes become more noticeable and so I need a cream that not only leaves the skin under my eyes feeling soft and smooth but helps to hide the wrinkles. 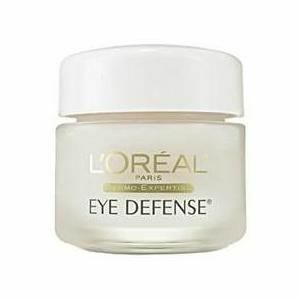 One of the big benefits that I like about the L'Oreal Eye Defense is the consistency of this cream. This is much lighter and thinner than other creams. Some creams I have tried in the past have felt very thick and almost paste like when worn. Thankfully, this cream is very light and easy to apply with a high absorption rate. I think this is the reason why after application my skin feels so smooth and actually tighter. Another plus for me is that it doesn't irritate my sensitive skin. I actually purchased this the first time because it was fragrance free. I do try to avoid creams and lotions that have strong fragrances as I find they tend to irritate my skin. Fortunately, I have never experienced an adverse reaction to using this cream and I am also very pleased that this doesn't clog my pores or leave my skin feeling oily or greasy. A little of this cream goes a long way and so although this container is on the small side, it does last for a significant amount of time, especially as it absorbs so well.